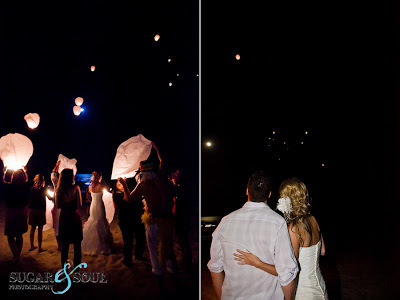 Also known as Sky lantern, wish lanterns are becoming more and more popular at weddings, especially destination weddings. Although the shy lantern may be new to most people they have actually been around for a very long time. Originating in China they were strategically used in war to call for help. After the war they became popular in China and Thailand, where they were used at festivals. 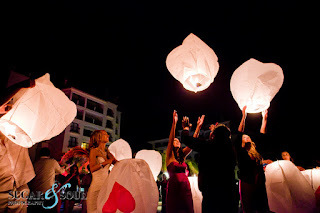 People would gather to release the sky lantern in to the sky to symbolize the release of their bad luck and misfortune. For those who are not familiar with what a sky lantern is… it is a small hot air balloon made from paper. It has an opening at the bottom where a small fire is suspended. Most Sky lanterns that you can purchase now are 99% biodegradable. 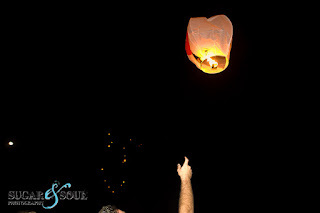 Currently many know the sky lantern as a Wish lantern. Brides looking for that wow factor, this is a great way to end your night. Have your guests gather together in an open outdoor location. For our Destination Wedding couples, the beach is a great location for this. Everyone receives a wish lantern and can write down a wish for the newlyweds on the lantern. 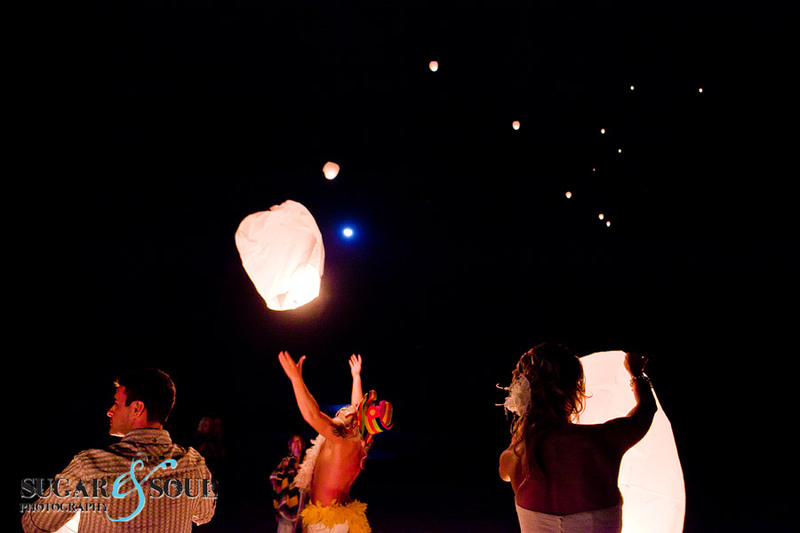 It is believed that when the lantern is released into the sky the wishes they wrote on the lantern will come true for the bride and groom. What a memorable way to end a very special night with all your nearest and dearest watching as all the lanterns fly up to the sky.